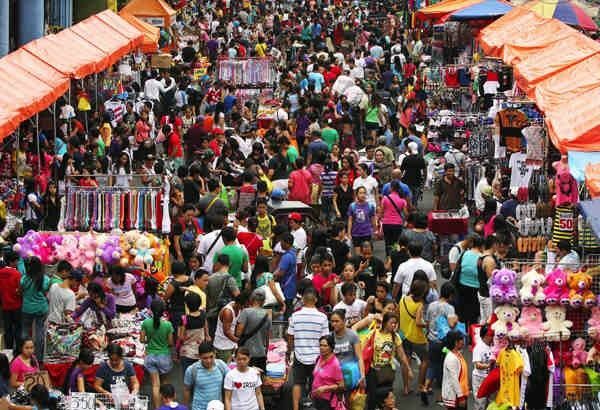 MANILA, Philippines —The first package of its tax reform measures will not lead to increases in prices of basic commodities, according to Trade Secretary Ramon Lopez, as the government tries to calm the public over worries that the new law will result in spike in household expenses. President Rodrigo Duterte signed the tax reform measure into law on Dec. 19, 2017, putting into effect a regime of higher exemptions for the income tax on workers. However, the new tax system imposes a higher excise tax on fuel and beverages using caloric and non-caloric sweeteners and high fructose corn syrup. The first package of the Tax Reform for Acceleration and Inclusion, commonly known as TRAIN, would also increase tax on both local and imported coal. In pushing for the measure, the administration was hoping to generate fresh funds it could use to finance its ambitious infrastructure and social service program. However, many fear that these additional taxes could result in higher prices especially of goods and services commonly availed of by poor Filipinos, who some critics contend would not enjoy additional income from the law. “[T]he common fear, which is what we want to dispel, is that prices will go up. That’s only rhetoric,” the DTI secretary said, adding that such statements in the public were just sowing fear. “But based on computations, going around the trade, plus talking to manufacturers, they are not mentioning anything about increases because of the excise tax on fuel,” he said. According to Lopez, the addition excise tax on fuel would just result in 0.35 percent increase in the prices of products since transportation costs account for only five percent of the total manufacturing expense of goods. “The impact of that excise tax on fuel on the production cost of the basic commodities such as canned goods, bread, coffee, powdered milk, detergent and all that is very minimal,” Lopez said. Lopez stressed that the tax measure would benefit around 90 percent of the public would benefit from a lower tax rate, which he said was ensured to be progressive by lawmakers. He also clarified that the prices of products in wet markets were determined more by supply and demand than the excise tax on fuel. “If at all, there will be a minimal change, but that’s nothing compared to the vast variation in prices due to the raw material price kung manufactured or the prices at farm gate of all these agriculture produce,” he said. Lopez also warned manufacturers against profiteering, saying that they could jack up prices only if it would be justifiable. He said that companies caught taking advantage of the law’s provisions would be penalized by making them pay between P20,000 to P1 million. However, Lopez clarified that suggested retail prices applied only to groceries and supermarkets and not top convenience and sari-sari stores since these were not the main channels of distribution.